Come celebrate MOA’s International Archaeological Day! For the past year, the city of London has been working on reviewing their Archaeological Master Plan, with a focus on updating the modeling for predicting the location of Indigenous sites and better modeling the urban core of the City. 4. Develop an implementation framework for responsible municipal stewardship and management of archaeological resources in the city. 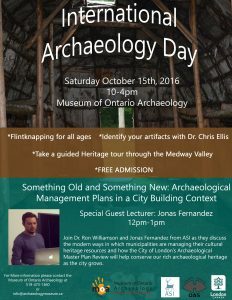 This year’s International Archaeology Day features collaboration between the City of London, Archaeological Services Inc. (ASI) and the Museum of Ontario Archaeology. 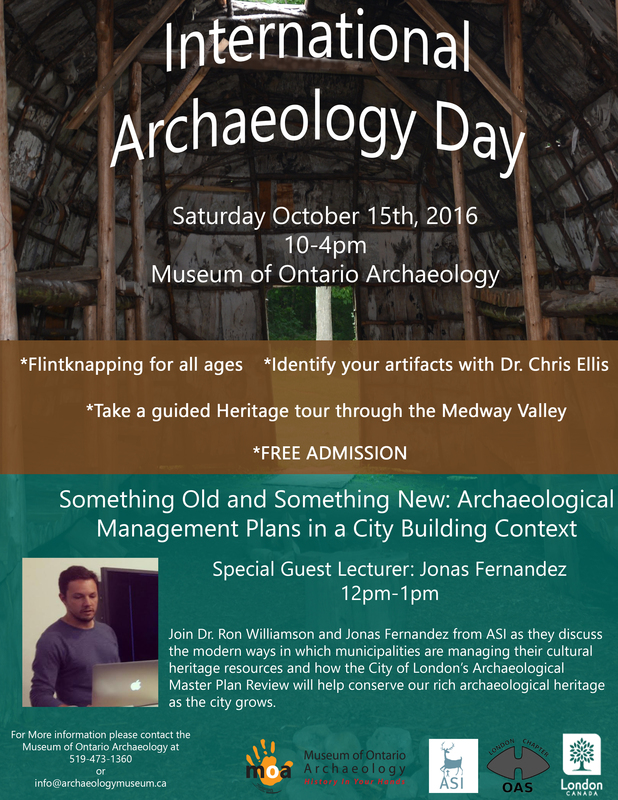 ASI’s Dr. Ron Williamson (also the Museum Board Chair) and Jonas Fernandez will present Something Old and Something New: Archaeological Management Plans in a City Building Context. You have the opportunity to attend this free lecture to learn about modern ways municipalities are managing their cultural resources and how this updated Archaeological Master Plan will help preserve our city’s rich archaeological heritage. See our website for additional fun activities.